Whenever I'm back in Christchurch, Pyn-girl (an alias), a close friend of mine and I would hang out and spend hours in our favorite cafes. 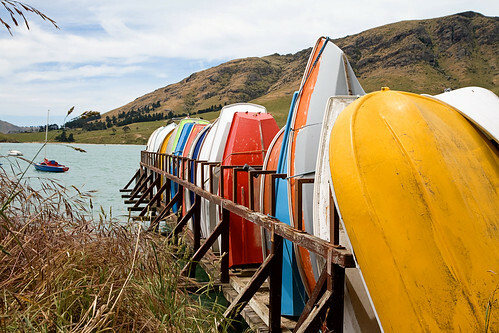 This time, she took me on a breathtaking drive around Banks Peninsula which covers beautiful bays and harbours. 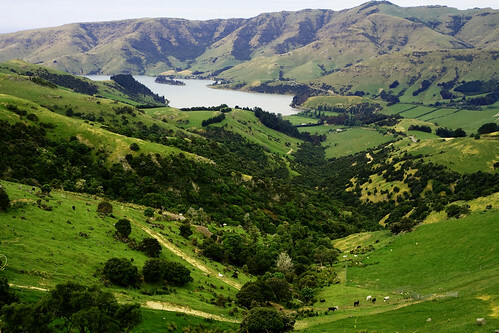 It's a short drive from Christchurch and the road meanders along the countryside where sheep, horses and cows are a common sight. 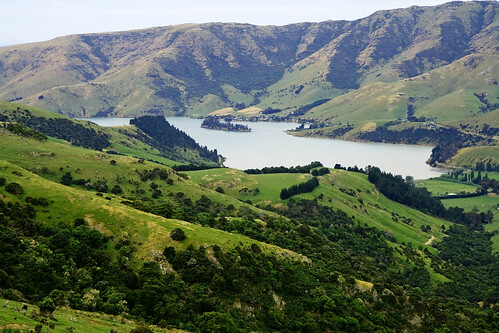 The peninsula was initially a Maori settlement but was later "discovered" by the crew of Captain James Cook in 1769. It was named in honour of Endeavour's (Captain James Cook's ship), Joseph Banks. 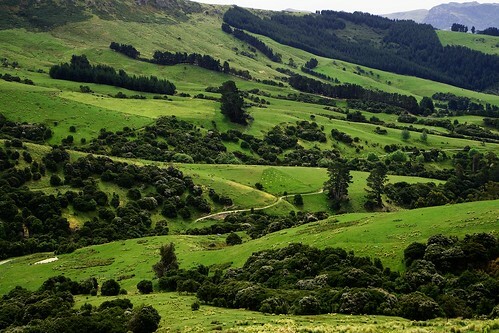 Based on the figures released in 2006 by Statistics New Zealand's Agricultural Production team, there were 40.1 million ship to just over 4 million population here. 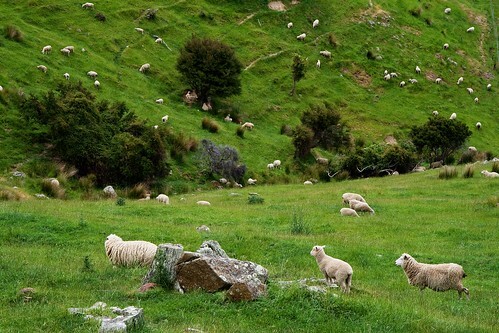 However, the number of sheep has been declining over the years due to drought (in the 90s), depressed wool prices and competition from other agricultural industries such as dairy and forestry. 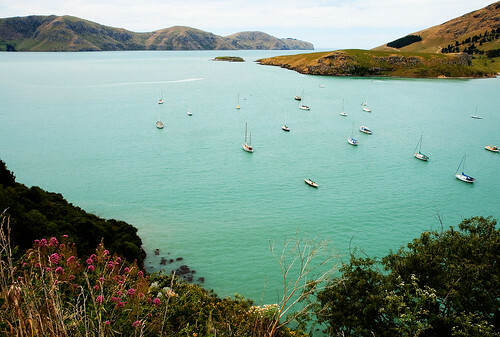 We drove past Diamond Harbour, Church Bay, Purau Bay and Port Levy. This was taken on our way to Purau Bay. I wore a pair of K Jacques sandals on the day which I hadn't bothered to put protective rubber soles on so there was practically no grip. I was perched on the edge and it's a long way down had I slipped. A visit to the cobbler is definitely on my to-do list. Pyn-girl is extremely camera shy. I managed to snap this while she's busy with her own camera. 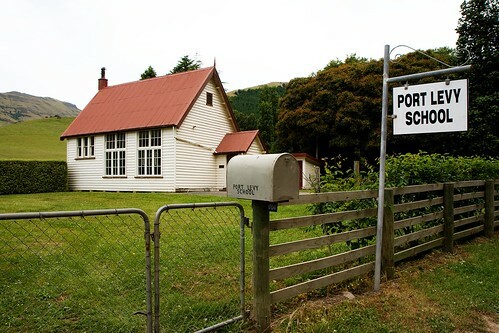 The tiny little school at Port Levy. It reminds me of the series "Little house on the prairie". It's big enough to serve the community which made up of literally a handful of houses in the area. A volcanic rock. 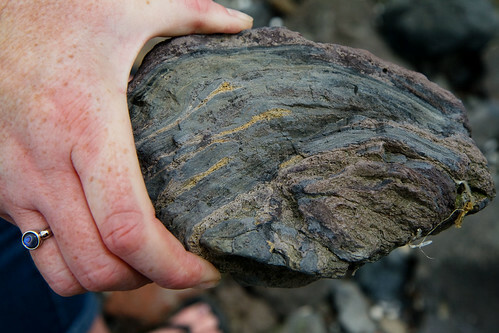 The area was the result of volcanic activity between 6 to 11 million years ago. 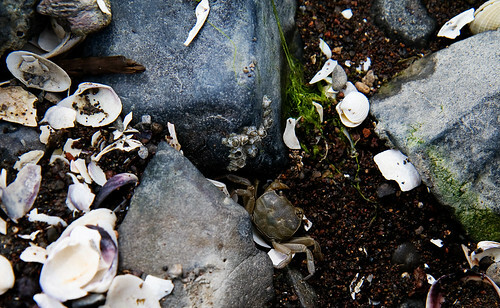 We found little crabs hidden under the rocks that scattered the sandy beach. 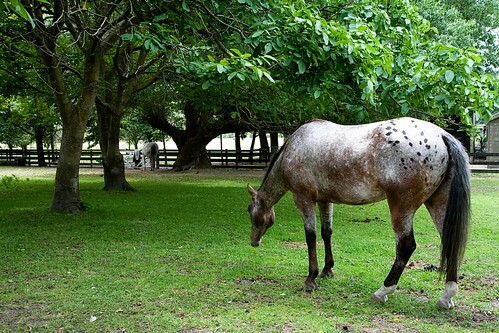 Wow, gorgeous landscapes! Thanks a lot for sharing these wonderful pictures. Thanks, q9y8! I'm so glad I'm missing the coldest winter in 100 years. Gosh, last year's winter was bad enough! I can't believe I'm out and about in shorts!